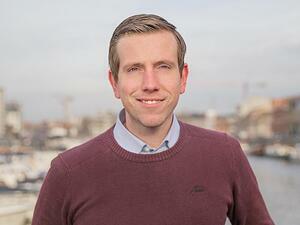 Koen developed a strong passion for the nitty-gritty of business life from a young age. He now actively travels through Europe to talk passionately about the world of entrepreneurship. As an early adopter of customer-centric selling, he searches for the latest and greatest sales strategy tactics. He's learned what it takes to grow a company, working both in startups and scale-ups. As a seasoned sales expert, Jacco Vanderkooij is the man to talk to when it comes to building and scaling your sales process. We organised a deep dive session to learn from the man behind "Winning by Design". Customer-centric selling for SMEs: what does it mean? The way you sell to your customers is crucial, because it sets the standard for a potential long-term relationship. Using a customer-centric approach to selling makes the most out of every opportunity to get new customers on board. Here’s how. Customer-centric selling is a key part of becoming a customer-centric organisation: your customer is at the forefront of everything you do. It boils down to making your customers successful and providing true added value.